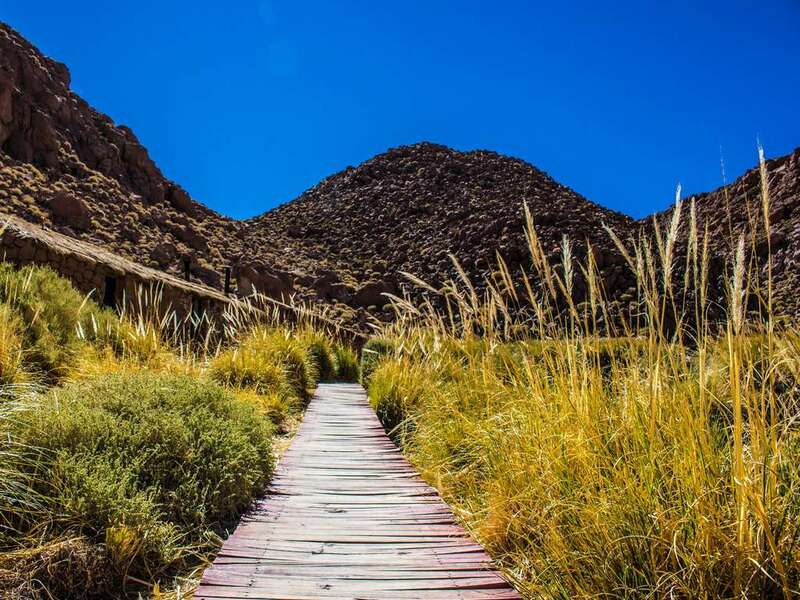 The Puritama hot springs are an oasis in the harsh climate of Atacama Desert, and they are the perfect way to relax in San Pedro de Atacama while still enjoying the beautiful scenery. 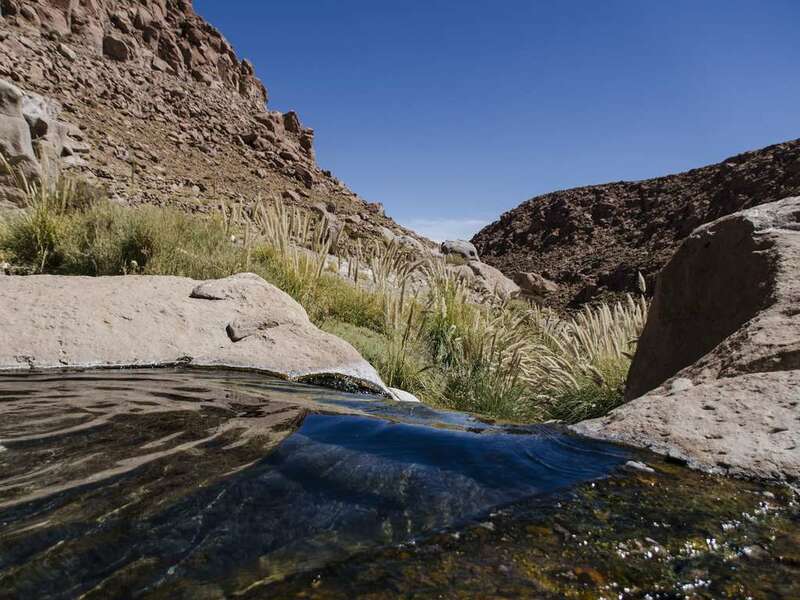 High up in the mountains, nearly 30km northeast of the Atacama Desert, we start our journey to the Puritama River. 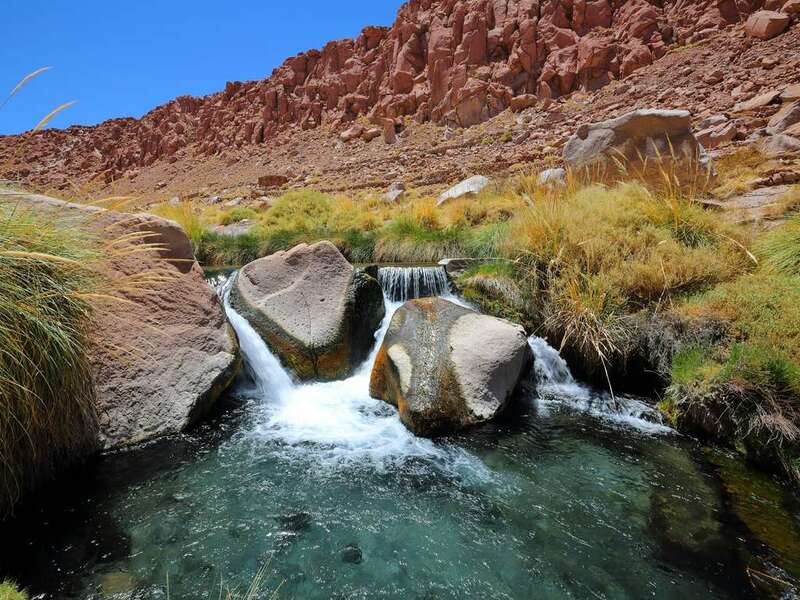 Its water flows down into this area at a warm temperature due to various volcanic materials that it passes along its way. 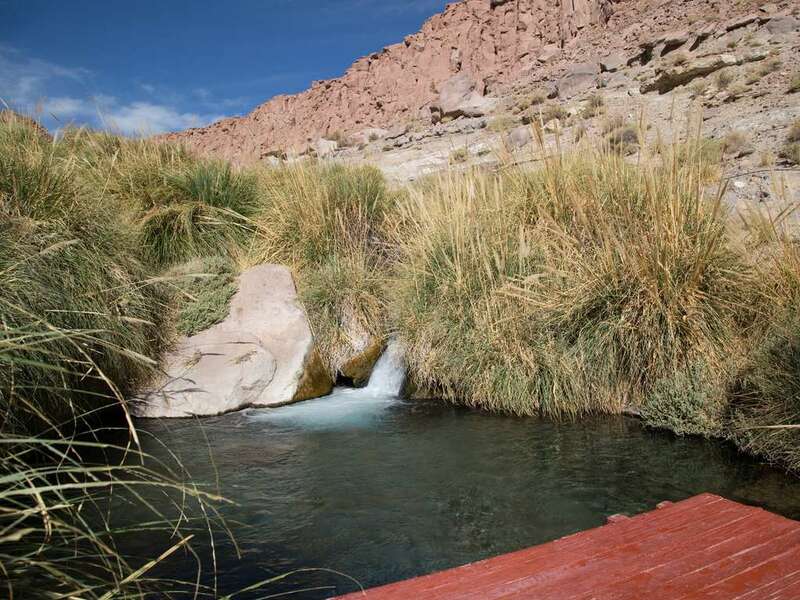 These hot springs have been in existence for centuries, with early Atacameno people using the waters for medicinal purposes. 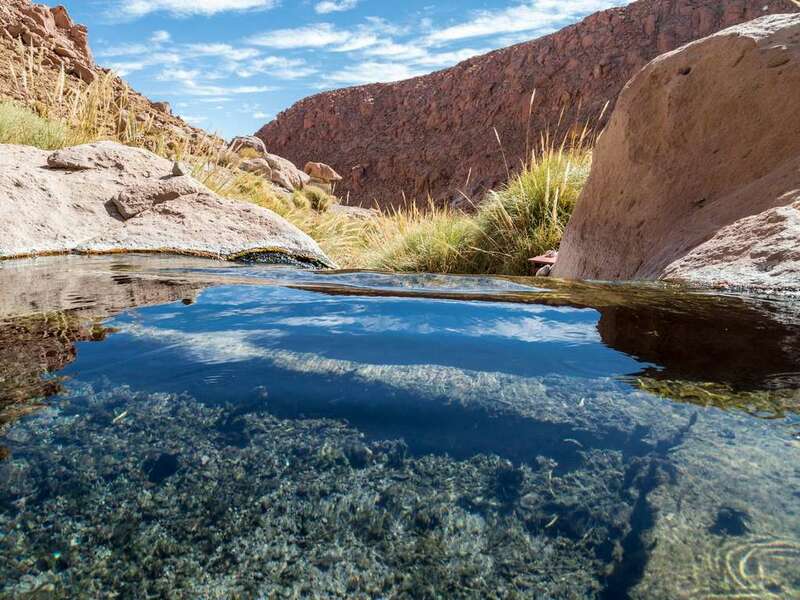 With a number of pools of varying temperatures, you are sure to find the cure for what ails you, as the sodium sulfate water is known to relieve a variety of ailments. 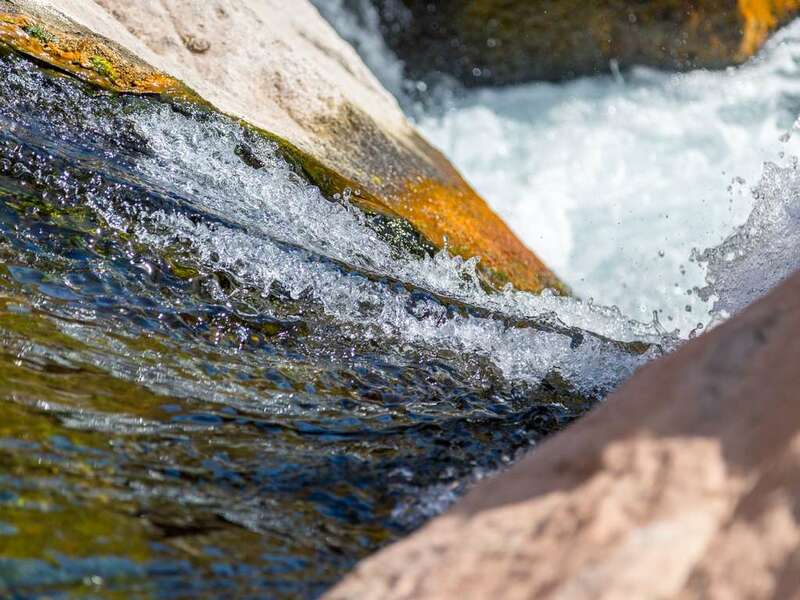 Park tickets. Pay at the entrance of the parks.